Notes: Clean, solid copy. Pages are clean and crisp. Cover has slight edge wear. Jacket is glossy with a tiny edge tear at top of spine. Book is a collection of 2-color (one color plus white) decorative designs that would be used in such applications as fabrics and print. Designs include geometrics, landscapes/water, birds, butterflies, and a large selection of florals. What little text appears in the book is in Japanese. 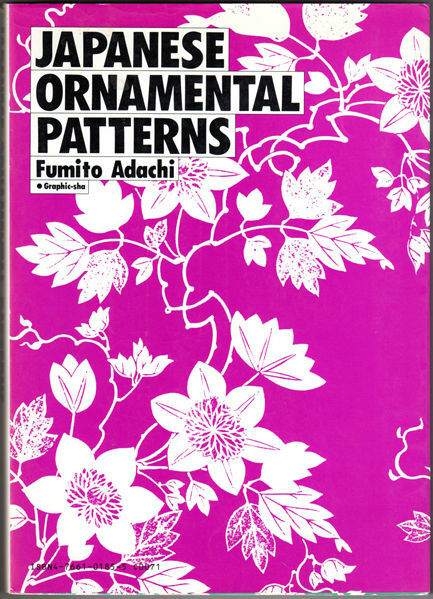 Great resource for any designer working with Japanese themes/graphics.